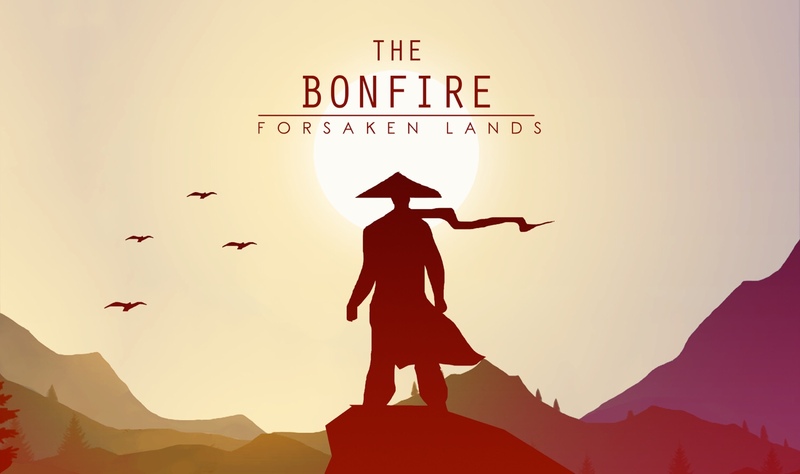 As someone who liked the idea of Raw Fury’s Kingdom: New Lands more than actually playing it, I was still very much looking forward to Xigma Games’ The Bonfire: Forsaken Lands. My biggest issue with Kingdom was having to start over from scratch every time I messed up. It’s hard to even know you’re not doing well until you get to a point where you’re low on resources and can’t fight off the enemies. I loved the artwork and atmosphere, but just couldn’t get on board with that core idea. So I was thrilled to learn that The Bonfire has a “normal” mode that allows you to restart the last day instead of the whole game. I was enjoying the game at first. While it’s not quite as breathtaking as Alto’s Adventure, the inspiration is pretty clear, between the minimalistic art style, weather changes, and even a windmill. I also love the soundtrack, which is relaxing and atmospheric without getting stale or boring. It feels just right for the game. The gameplay is sort of a cross between a survival game and an idle clicker. You start off like any clicker, pressing a button to send your character over to chop a piece of wood. Once you have enough wood, you can build a bonfire that’s visible for miles around. Soon, others seek out the bonfire and join your little village. Now you have multiple workers who can chop wood. If you build a cart for them, they can collect five pieces of wood at a time instead of just one. Gather enough wood and you can build a farmhouse to make food. Now you can assign some workers to be farmers so you’ll have food to feed everyone. At the top of the screen, you’ll see all the resources you have, depicted through little icons. As more and more jobs become available, you need to find a balance for all the workers so you don’t end up with too much of one resource and not enough of another. Then there’s the day/night cycle. When someone gets exhausted, they go to sleep. Most jobs are only doable during the day, so workers assigned to those jobs will automatically sleep at night even if they’re not tired. There’s one job that’s done at night, though. Guards rest during the day so they can be awake and alert at night to fight off wolves and other predators. It wasn’t so obvious for me at first, but maybe it would be to those who played more of Kingdom. You also want to assign your strong and brave workers to be guards, as opposed to someone who’s wise or honest. The game doesn’t show you any stats on these workers, though, so it’s hard to really tell the difference between them and how much it matters. But it would make sense that you’d want someone hardworking to be mining for coal, herding sheep, or smelting steel. As you build more huts to house workers, you’ll be able to take on more of them, getting more and more work done and expanding your little village. You’ll even be able to send folks off to scout and explore distant lands. Like I said, I was enjoying the game at first. But it has some problems that eventually wore me down and I’m not sure at this point if I’ll continue with it, even though I did want to try and finish it at least once. First off, unlike Kingdom, you can’t control where your character goes. You can tell him to do something like build a hut or cut wood and he’ll go off and do it. During battles, you can also tell him to fight, but it’s limited to a simple “fight” button. Technically, it’s not necessary to control him directly, but I did find myself wishing for that ability anyway. Another problem is that you also can’t control the guards. Enemies always come from the right, but the guards — and your own character, as well — will pace back and forth and then start running towards the enemies individually instead of together as a group. That means the first ones that attack are more likely to get injured or even killed, since they’re more exposed. If all the guards would stay in a tight group at all times, the damage would be more evenly distributed among them. And it’s frustrating that all I can do is yell into the void, as I can’t do anything to change their behavior. On top of that, late-game there’s something you can discover that requires specific roles. The warriors (and one other class) are the only ones who can do this job and they only do it at night. It makes sense, then, that you should be able to change your guards to warriors and have them sleep during they day and get ready to work at night. But nope. They stay awake all day, pacing around for no reason and then are tired come night. So your only option is to frantically change your guards to warriors as the sun is setting and hope you do it in time. You also have to pray that the special event you need them for is available when the sun goes down. Otherwise, you’ll need to change them back to guards before the enemies appear. It makes no sense! I also got tired of waiting for the opportunity to even use them again, since I didn’t see any surefire way to force the special event in which you use them. Nothing else is happening in the game at this point, as I have no more buildings to build and enemies at night no longer offer any challenge. So it just feels tedious doing all this juggling around waiting for something specific to happen. At the very least, a more user-friendly interface would have helped, perhaps even the ability to select multiple workers st once to change all their roles to another job. But as is, it’s just too much work for no payoff. Additionally, the other worker that I’m trying to avoid saying too much about so I don’t spoil the late-game content, has to train specifically for that role. Getting them to that point wasn’t very clear, as I kept doing something and got no feedback as to why nothing happened. Once they are trained, though, their work is also done at night, but they stay awake all day standing in one place, getting tired. There is no way to put them to sleep during the day other than changing their role to guard, but if I do that I’m worried I won’t be able to turn them back into their other role come sunset. It’s also impossible to tell what items a worker can equip if you don’t already have those items. You have to craft every item and then go to every worker and check to see if they can use it. There’s no way to tell before you craft an item. And when you’re not busy juggling things around and you’re just waiting for something to happen, there’s no way to fast-forward. For instance, once the guards take out the enemies, there’s a period of time you’re just waiting for them to go to sleep and everyone else to wake up, since there’s never more than one round of enemies. This happens every single night. Why not just have them go to sleep as soon as the enemies are dead? Or at least have a fast-forward button. I spent a lot of time in this game just waiting. Sadly, the game also doesn’t have iCloud sync, but the developer said they plan to add it in about a month. Thankfully, the saves work well otherwise, saving automatically at the beginning of each day. If you close the game, you dont have to worry about losing progress, but it’s best to quit early in the day rather than at night. At the end of the day, I’m not sure I would recommend the game, despite liking many aspects of it, not least the soundtrack and more casual take to the genre. I especially appreciate that I don’t have to start from scratch when I die, as it can be pretty tedious to begin with that one piece of wood again. But if you like the look of it and are usually a fan of these types of games and can overlook its issues, by all means, give it a go and download it here. It didn’t start to bother me until I had played a couple of hours, so there is something worthwhile here. But if you’re not a big fan of survival games, management games or idle clickers, you may want at least wait and see if these problems get ironed out. In any case, you can watch my videos below to see the game in action. And if you need help with the game, try my walkthrough guide.